Description: Design of artist’s name, May Camp in a shaded, three dimensional looking way. Logo, typography, design, combining, linking letters, pencil shading. Sketches in corner. Artist Comments: Somewhere around my last drawings on lined paper. I decided to draw my name in some fun way. Originally, I only wanted to practice shading with something that curves around, simple objects (like snakes and tubes). Then I decided to make my name in some type of logo that would be shaded this way. 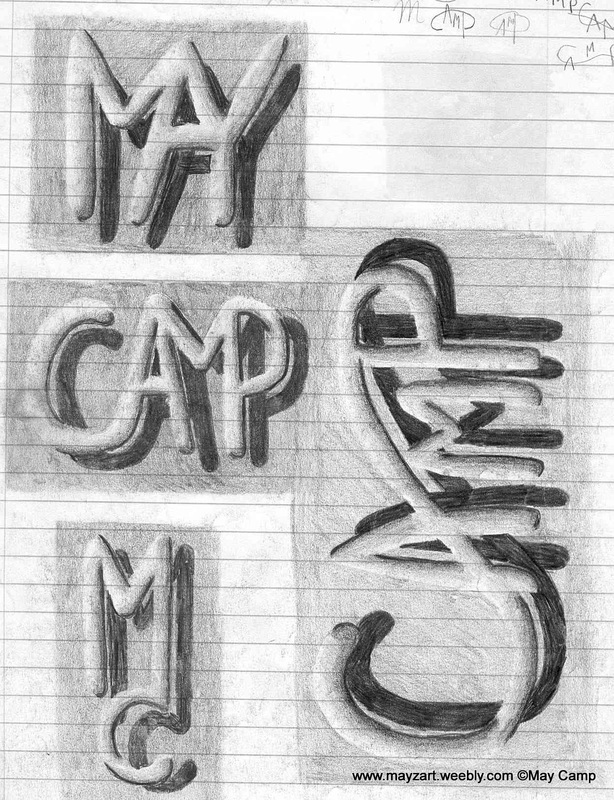 Eventually, this sideways "CAMP" became part of my logo as of today.